What patient or caregiver couldn’t use an extra pair of helping hands inside the home? Personal care assistance offers just that, supplementing home healthcare services as medical needs evolve -- and as life situations change. Personal care assistance represents a full array of both skilled and non-skilled in-home nursing services from your home healthcare provider. “Many patients and caregivers don’t realize the wide range of services accessible, which can enhance their lives and contribute to their independence,” said Amber Wiesner, Executive Director of VNA of Ohio's Home Assist™, our private-duty service line. “People are sometimes surprised to learn that in-home care can extend to activities outside of the home, from doctors’ trips, to errands and special social events,” she adds. Whether your loved one's needs are simple or complex, or short or long-term, personal care assistance can contribute to a safer, healthier and happier home. “The key to success is open communications with the patient and understanding their situation, and then pairing exactly the right personal care professionals to match their needs and personalities,” says Wiesner. Personal care and grooming. 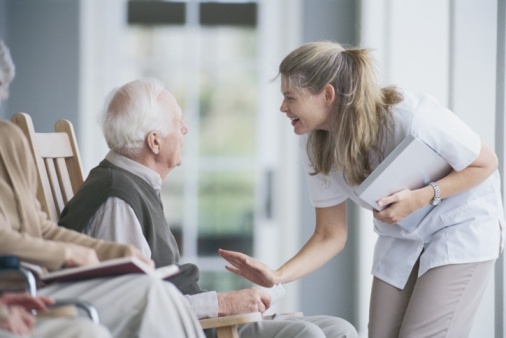 Depending on the patient’s mobility limitations and their comfort levels with friends or family conducting personal care tasks, professional assistance can better support the health, cleanliness and overall dignity of the patient. Meal planning, preparation and assistance with feeding. Home health aides, under the dietary guidance of patients’ physicians, can conduct shopping trips (with or without the patient), as well as prepare meals inside the home. They can also encourage better appetites through these activities, and provide companionship through the meals so they don’t have to eat alone. Light housekeeping, laundry and linen change. When caregiving is a full-time job, on top of work and family, a little help with household responsibilities can go a long way. Medication management. This important task is just one on the list of many for caregivers, but with professional assistance, can be properly organized, scheduled and dispersed to the patient. Companionship. Patients experience great mental, emotional and in-turn, physical health benefits from needed companionship. Whether it’s in-home visits, trips to the store, or simply sharing a meal, patients can stay social, stimulated and engaged. Respite care. If the caregiver and family will be traveling, or face other extenuating circumstances that take them away from home for a time period, around-the-clock care can be facilitated inside the home. Assistance with walking or transfers. Caregivers can rely on professionally trained and certified home health aides to ensure safety during transit. Assistance with exercises. Activity is key to keeping the patient stimulated and healthy during home healthcare. Under the guidance of their physical therapists, patients can be assisted with everything from in-bed exercises and stretches, to walks outside (weather permitting) and other modified exercises based on their abilities. Errands. Patients and caregivers can save time in their days by enlisting help for basic errands, like groceries and pharmacy trips. Transport. There are support services for trips to doctor appointments, family and social events, or other special arrangements. Only you understand the unique needs in your situation. Don’t be afraid to ask about the full range of support options available to you as the patient or caregiver, for now and as your situation changes. Also, make sure to contact your home healthcare representative to understand what personal care assistance is considered "skilled care" and "non-skilled care," and what may be covered by insurance and what would be out-of-pocket. Learn more about Home Assist™, Visiting Nurse Association of Ohio's companionship and personal care service, or call us today at 1-216-931-1500.